Dear winter jackets: I won't miss you. Please let the door hit you on your way out. 1. An ómbre t-shirt dress inspired by the most popular hairstyles on my Pinterest home feed. Why are pictures of ómbre hair always so mesmerizing? Get it from Amazon for $12.99+ (available in sizes XS-3X). 2. 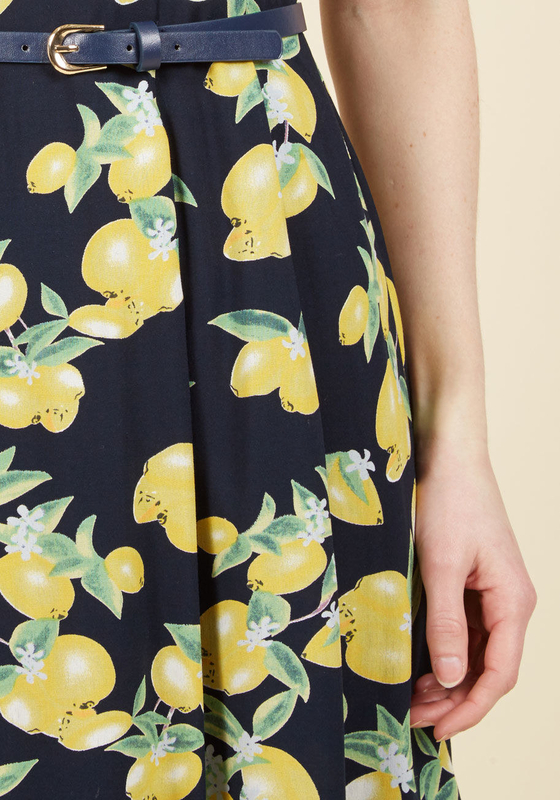 A woven dress that basically screams, "I am the clothing equivalent of spring. Wear me now." 3. 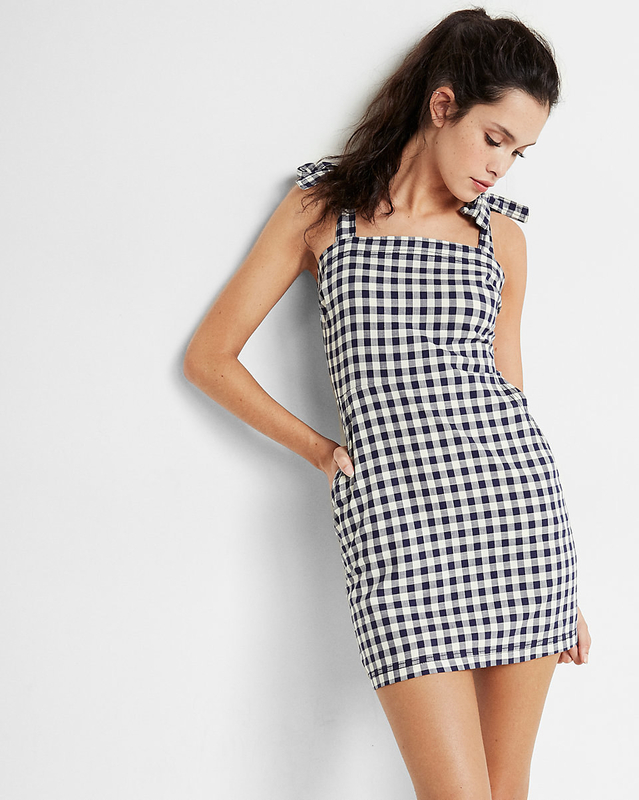 Skater and sheath dresses rumored to have inspired PSY's hit song, "Gingham Style." The label accidentally misspelled the title of the song to "Gangnam Style" and the world was changed forever. 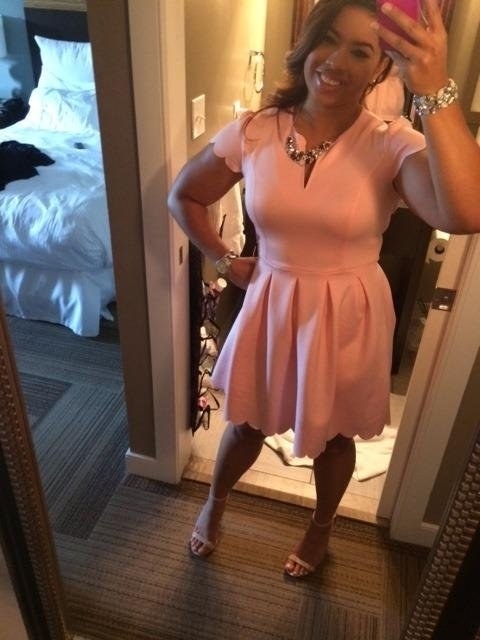 Get the skater dress from Boohoo for $30 (available in sizes 12-20) and the sheath dress from Express for $59.90 (available in sizes XXS-XL). 4. A casual wrap dress designed for anyone who wants to wear the longer version of a t-shirt. This is it, people. All day comfort! Without having to put on pants! Get it from Amazon for $17.99 (available in sizes S-XXL). 5. 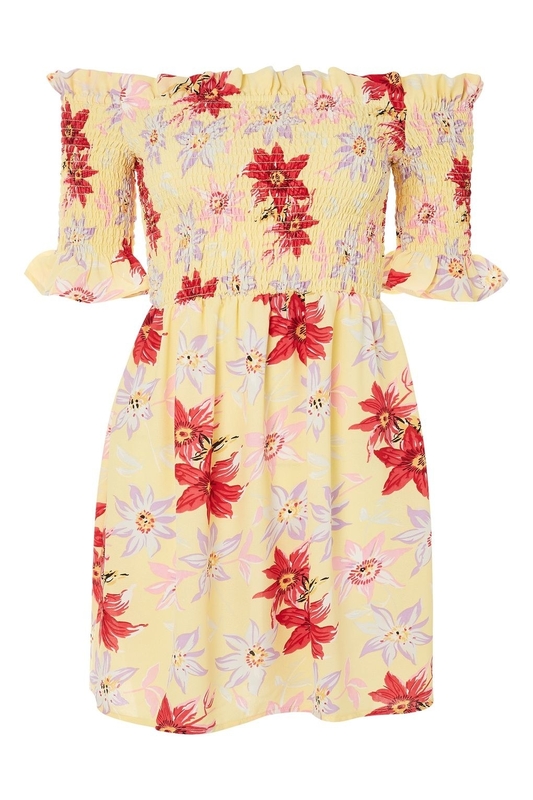 A floral dress with a cold shoulder design, but do not fret: your shoulders will NOT be cold because WINTER IS GONE. Can I please get an Amen. Get it from Necessary Clothing for $39.99 (available in sizes S-L). 6. A stretchy mini dress that'll add a little fit and ~flare~ to your wardrobe. 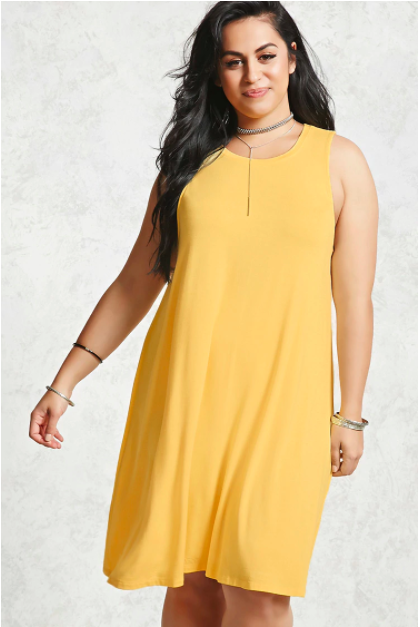 Get it from Urban Outfitters for $24.99 (down from $49 and available in two colors, plus sizes XS-L). 7. A maxi dress with ruffle detailing designed to make your body feel like it's floating in a sea of lavender. Get it from Forever 21 for $27.90 (available in sizes S-L). 8. 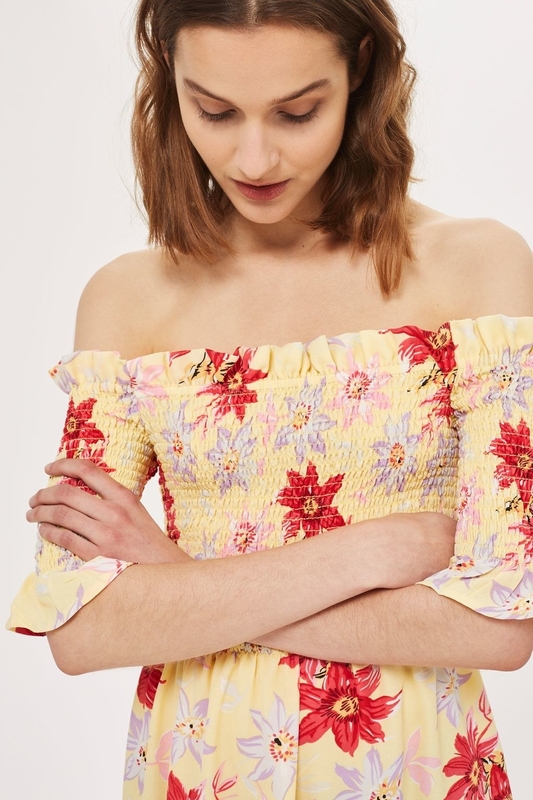 A smocked midi dress that you shouldn't actually use as an art smock. But do with it what you please, I guess. Get it from Urban Outfitters for $79 (available in four styles and sizes XS-L). 9. 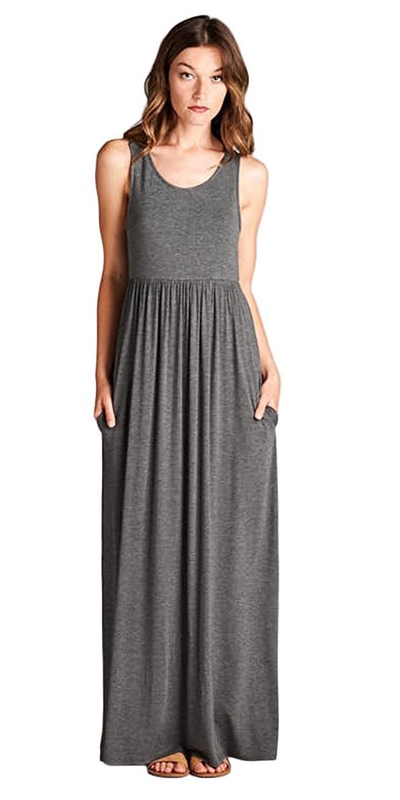 A racerback maxi dress with pockets. POCKETS, I tell ya! Get it from Amazon for $35+ (available in seven colors and sizes S-L). 10. 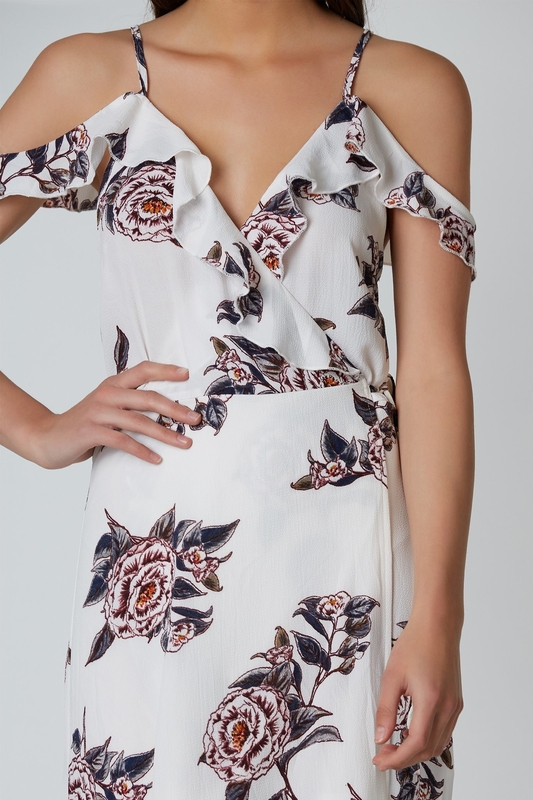 A flueted hem number designed to make your curves ~pop~ even more than the ~poppy~ flowers on this dress. Get it from Asos for $94 (available in sizes 2-12). 11. A midi dress known to cause trouble. It's completely changed the "when life gives you lemons" rhetoric, for example. When life gives you lemons, you do not make lemonade. You do not add tequila. You sew them on a dress and say, "hello I am FABULOUS." 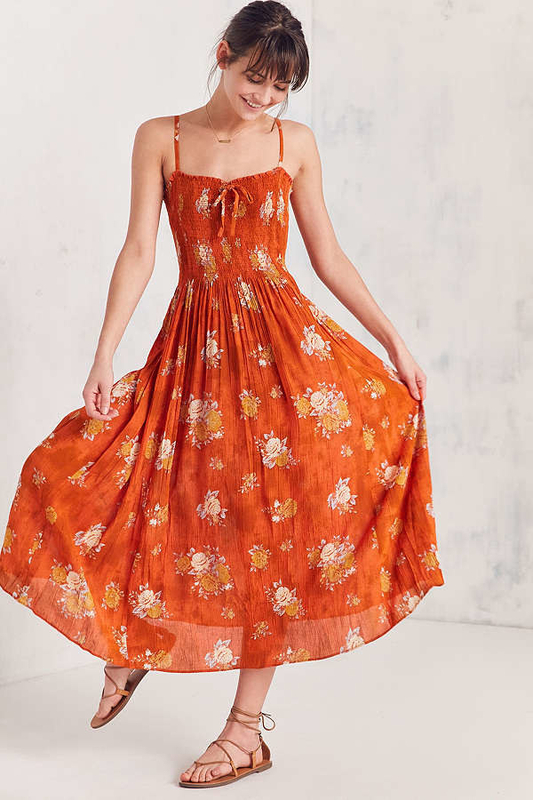 Get it from ModCloth for $69.99 (available in two patterns and sizes XS-4x). 12. 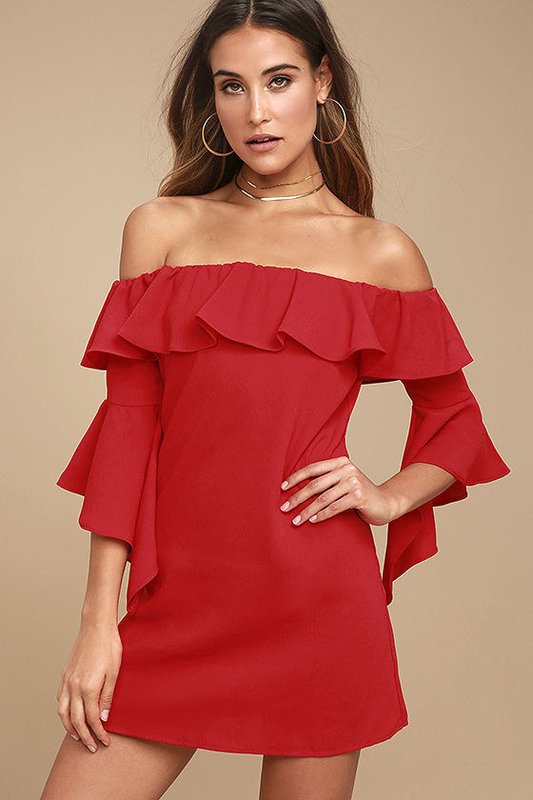 An off-the-shoulder dress that'll have all your admirers singing "Lady in Red" while out at karaoke. Get it from Lulu's for $49 (available in sizes XS-XL). 13. A dress in a denim color to honor the jeans that have kept your legs warm for the past few months. Dear jeans, your generosity will not be forgotten. 14. A stretchy tank dress for your inner boho babe. Swoon. 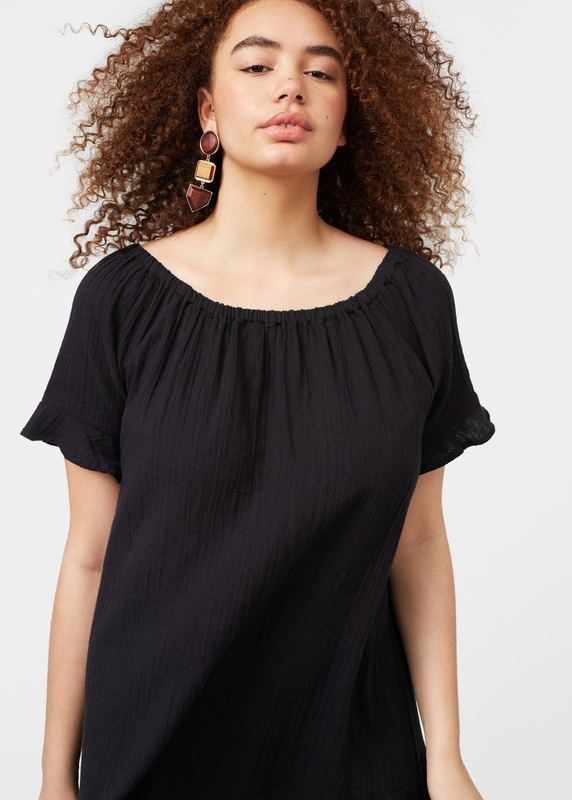 Get it from Nordstrom for $88 (available in sizes XS-XL). 15. An ultra-soft t-shirt dress known to say things like "tubular." Hangs out with Crush and Squirt from Finding Nemo. Get it from Don't Ask Why for $39.95 (also four different patterns). 16. A wine and rose lace dress that'll make you say, "nope, you cannot borrow this, and how dare you for asking." "Listen, there are certain things that are just off limits in my closet, okay?" Get it from Tobi for $44 (available in sizes XS-L). 17. A basic swing dress you'll wear all the time. Fair warning: you'll want it in every color available. Get it from Forever 21 for $12.90 (available in six colors and sizes 0X-3X). 18. A maxi dress with gorgeous, vibrant colors guaranteed to make you stand out. Get it from ModCloth for $39.99+ (available in three patterns and sizes XXS-4X). 19. 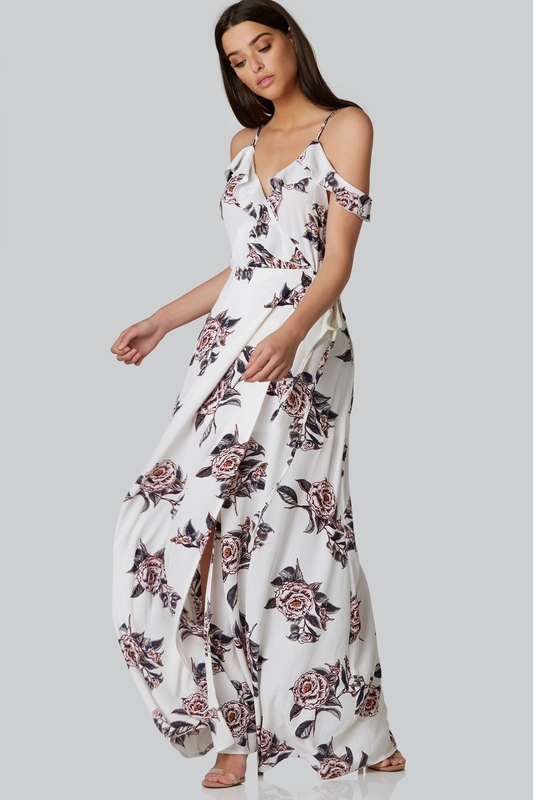 A seersucker maxi dress that'll make you want to twirl around in circles. So elegant! So delicate! 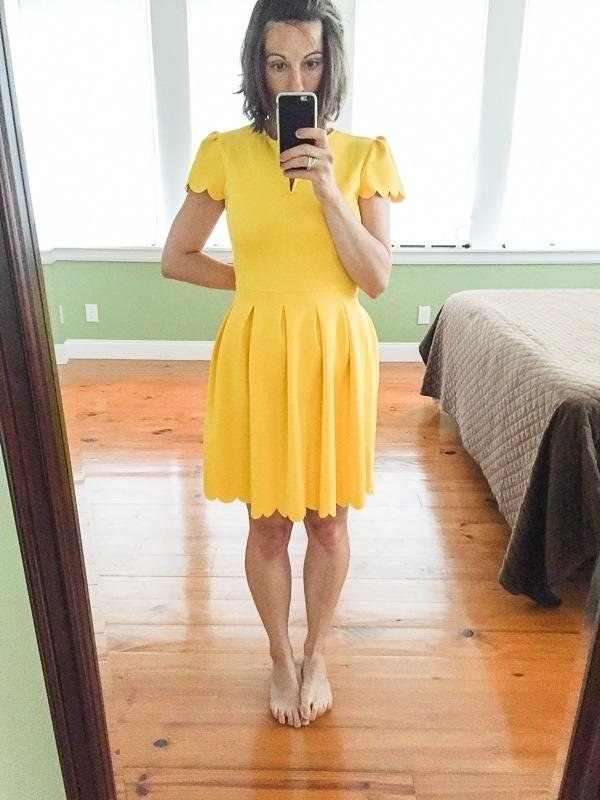 Get it from ModCloth for $89.99 (available in sizes XXS-4X). 20. 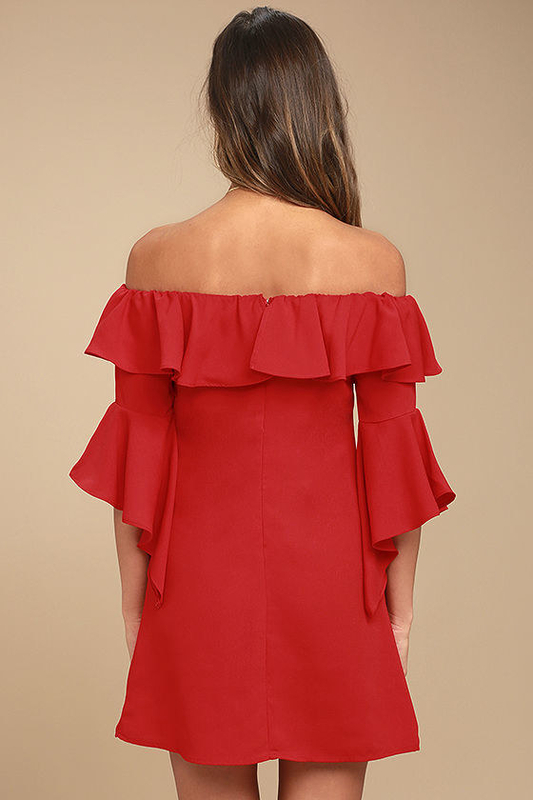 A dress with a ruffled hem that you could dress up or down. Hooray! Get it from Mango for $59.99 (available in two colors and sizes 10-18). 21. A gorgeous flutter sleeve dress that you'll want to wear everyday. Do not forget to accessorize with a tiara. Get it from Torrid for $98.90 (available in sizes 10-30). 22. A ribbed mauve dress for the shoulder that doesn't mind being a little exposed. Life is short, take some risks. Get it from American Eagle for $15.98 (available in two colors and sizes XXS-XXL). *I'm sorry, I recently discovered that Pokémon: Indigo League was on Netflix. Get it from Forever 21 for $17.90 (available in three colors and sizes XS-XL). 24. 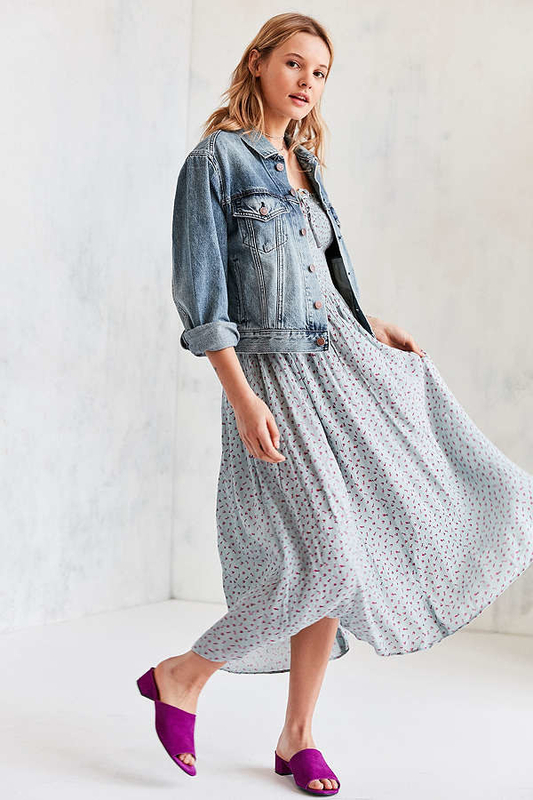 A hi-low maxi dress made from an airy fabric that's perfect for those why-is-it-so-hot-it's-only-spring days. "It is too early for me to be sweating like this. I am only allowed to sweat after June 21." —me talking to my weather app. Get it from Torrid for $74.90 (available in sizes 00-6). 25. A pleated dress with scallop details that is too adorable. This is what people mean when they say something is "darling." Get it from Amazon for $19.99+ (available in six colors and sizes S-XXL). Get it from Topshop for $75 (available in sizes 0-12). *This Lilo & Stitch reference has been brought to you by my extensive Disney knowledge/obsession. 27. 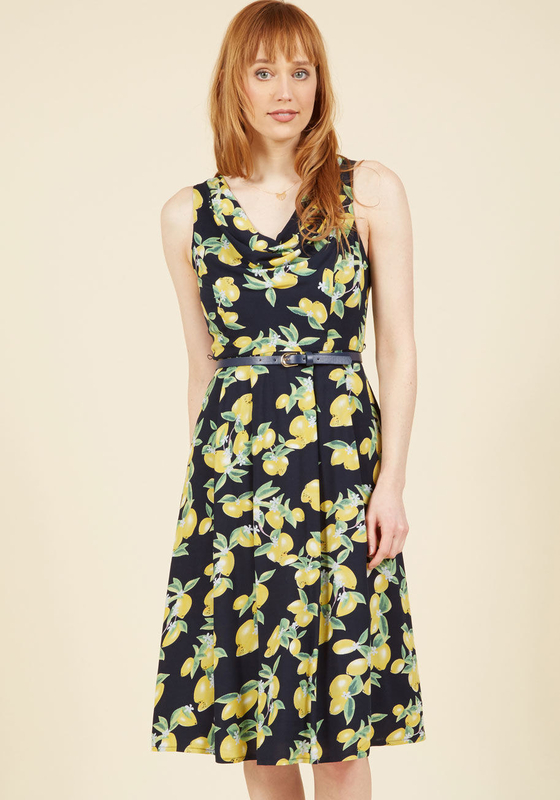 A classic cocktail dress that's perfect for any occasion. Wear it to a picnic party! Wear it to a fancy schmancy shindig! Get it from Amazon for $19.90+ (available in 12 colors and sizes S-XXL). 28. A crochet dress because feeling the wind in your hair is great, but feeling the breeze on your back is better. Get it from Necessary Clothing for $46.99 (available in sizes S-L). 29. A maxi dress with gorgeous crochet detailing around the waist. Excuse me, I'm not drooling on purpose. I'm sorry, this is awkward. Get it from Asos for $56 (available in sizes 2-10) or New Look for £34.99 (available in UK sizes 6-14). 30. 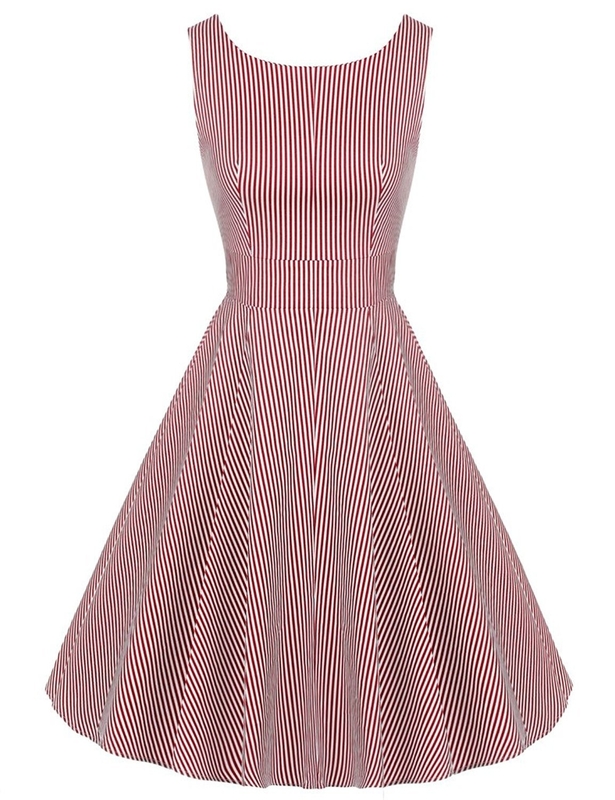 A full skirt dress that deems it acceptable to pop your collar. Let's go back to those Lacoste days, people! Get it from Missguided for $54 (available in sizes 0-12). 31. A bodycon dress designed for people who don't mind attention. Everyone will be asking where your outfit is from. "It's vintage." —me, lying to everyone. 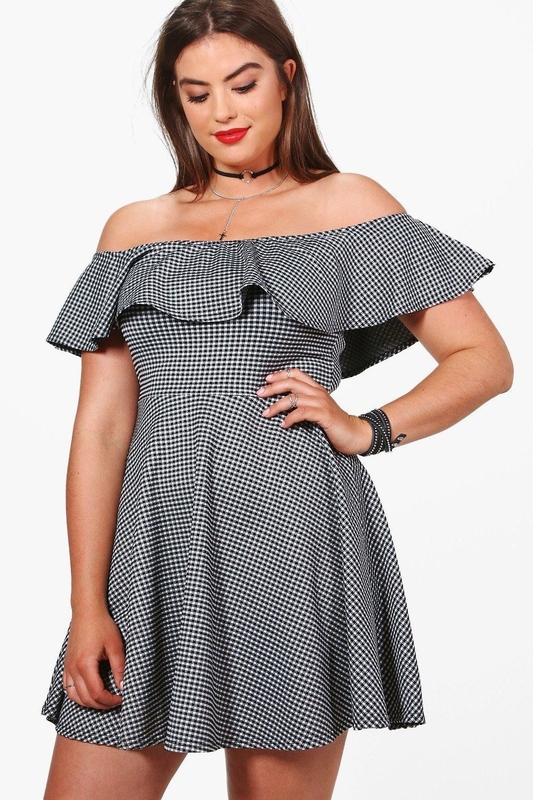 Get it from Boohoo for $26 (available in sizes 4-10). Get it from Tobi for $25 (available in two colors and sizes XS-L). 33. A button-up dress available in a bunch of different patterns. Your wallet will hate it. You cannot buy them all. "But...yes, I can..." —me sticking it to the man, AKA my wallet. Get it from Amazon for $26.99+ (available in 24 different patterns and sizes XS-XXL). Me, wearing my new dress. Honestly, She's All That was such a good movie and it deserves more recognition dammit! Thoughts?